"I would give myself an A+" —Donald Trump, on his first 100 days in office. Americans increasingly agree on one thing: Every day that Trump stays in office, he diminishes the United States and its people. 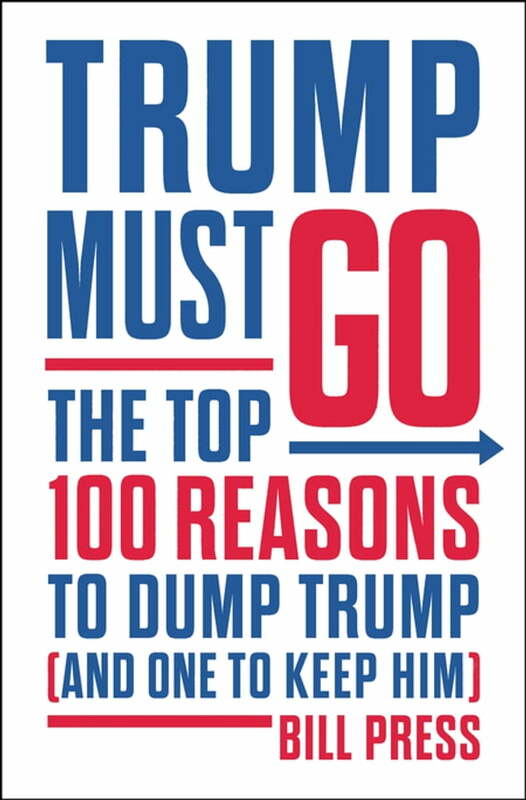 In Trump Must Go, TV and radio host Bill Press offers 100 reasons why Trump needs to be removed from office, whether by impeachment, the 25th Amendment, or the ballot box. Beginning with the man himself and moving through Trump’s executive action damage, Press covers Trump's debasement of the United States political system and degrading of the American presidency. Ranging from banning federal employees’ use of the phrase “climate change,” to putting down Haiti, El Salvador, and African nations as “shithole” countries, we have to wonder what he’ll do next. He has a bromance with Putin that enables several meetings between Trump staffers and Russian officials, and he has a wrecking crew administration: Attorney General Jeff Sessions, Education Secretary Betsy DeVos, and Housing Secretary Ben Carson, to name a few. Extensive “executive time” marks Trump’s calendar so he can golf, watch TV, and eat fast food. Trump has done it all…badly. But, in a political climate where the world has learned to expect the unexpected, Press offers readers a twist: one reason not to ditch Donald Trump.